(Berlin) Gatza (1994)., 1994. First German printing. 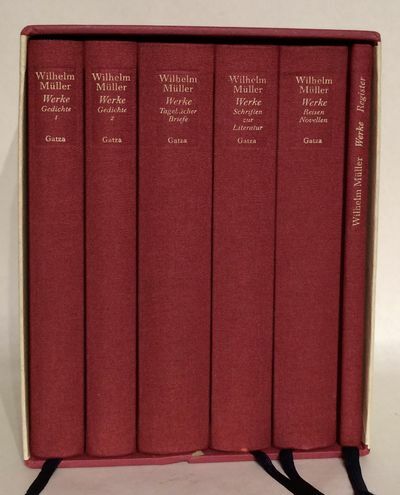 6 Volumes (complete). 8vos. Variously paginated. Half-bound in red cloth with cream-colored paper over boards. Ribbon markers. Original publisher's paper-covered slipcase. Tight, fine books in slipcase with bump bottom edge else fine. Uncommon.. 1st Edition. Hardcover. Fine.